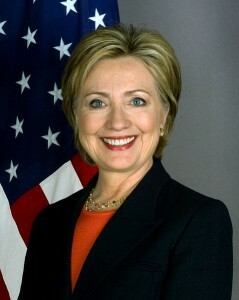 Former US Secretary of State Hillary Clinton has been awarded an honorary degree from the University of St. Andrews in recognition of her achievements in political and diplomatic work. Mrs Clinton, former First Lady and wife of Bill Clinton also gave the graduating address at the 600th anniversary of the founding of St. Andrews University. In her speech which was an impassioned plea in defence of human rights across the world, she said: “We need more voices speaking up for universal human rights. We have honoured some of the great advocates here today who have spoken out courageously for women’s rights, gay rights and religious understanding, showing us that our communities and institutions are strongest when equality and opportunity are open to all people and freedom of conscience is respected. “Here in the home of the Scottish Enlightenment and the great contributions from Scottish universities, we need to be reminded that it paved the way for much of the progress we now take for granted, not only in the West but around the world. And it is important that as we chart our way forward in this new century, we bring with it the enlightened view that every individual around the world regardless of gender, religion, race, ethnicity or orientation, should be able to contribute to their societies and to have the chance to live up to his or her God-given potential. Mrs Clinton is widely tipped to be the next Democrat nominee for President of the United States of America.